Størvatt uses an exceptional type of wood, Red Cedar. 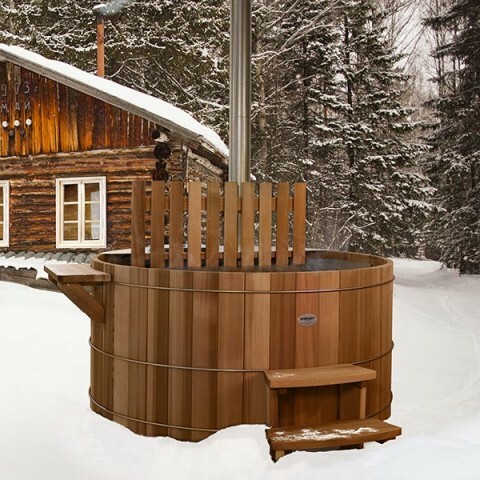 Red Cedar is indisputably the best type of wood for the construction of Størvatt Norwegian baths. It is frequently used in construction, especially in the Alps, where roofs are often covered with red cedar shingles, called ‘tavaillons’ or ‘ancelles’ in French. 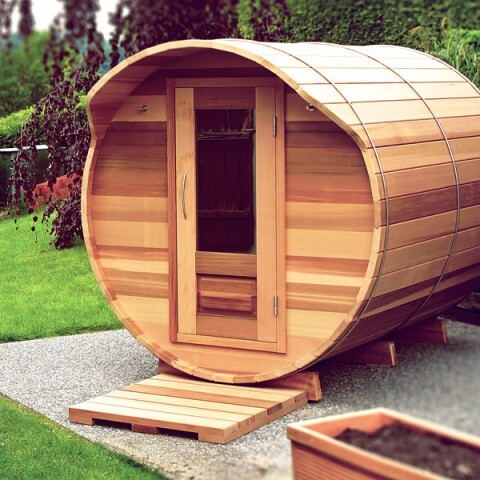 Red Cedar requires no maintenance, even when constantly subjected to harsh weather conditions like rain, snow, sun, and freezing temperatures. Like all types of wood, Red Cedar is sold in different grades. 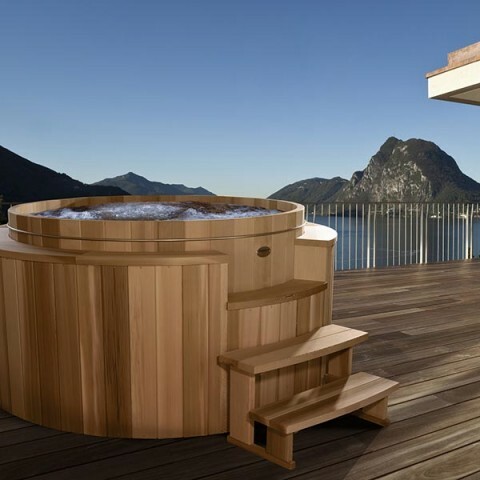 For the construction of our baths we use only the best quality of wood, No. 2 Clear, which is free of knots and very fine-grained. 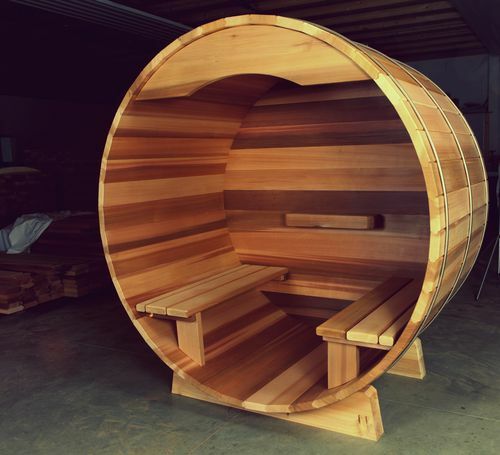 One of the essential characteristics of Red Cedar that no doubt appeals to all of our clients is its scent. Hot water releases all of the unique and inimitable fragrances of red cedar. Clients from hotels equipped with our products regularly contact us to find out what essential oils or perfumes we use in our baths. 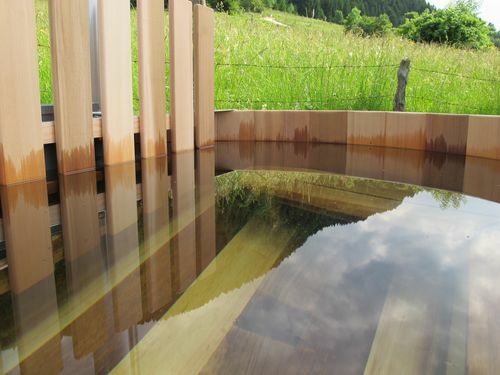 The wooden cover is subjected to dramatic differences in humidity, with nearly 100% humidity on the underside of the cover due to the hot water, and very dry air on the upper side when the sun is very hot. In spite of this, the cover retains its shape, with no warping or cupping. You can leave the bath empty for a long period of time and there will be very little shrinkage, and when you fill it, it will quickly regain its watertightness. Red cedar requires no maintenance. Oil-based treatments, stains, and other products recommended for other types of wood are only surface treatments, and have practically no effect on the durability of the wood. We advise against any type of treatment, unless you would like to preserve the colour of the wood when it is new, but in this case the treatment is only for aesthetic purposes. The best solution is to let the wood age naturally. It will take on a beautiful silver-grey hue.